All Nippon Airways has had a mixed response to women-only lavatories introduced earlier this year on international widebody services, but says it is too early to know if they have attracted extra passengers. 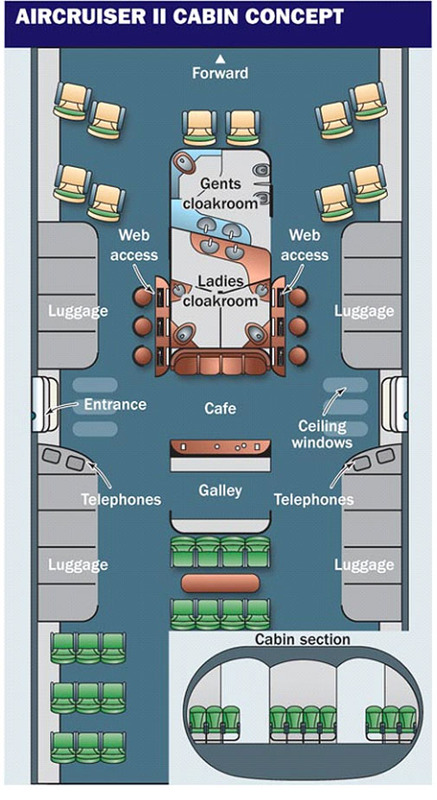 A single such toilet (serving all cabins) is in the aft section of each aircraft. The Japanese carrier says that the move followed numerous requests, especially from female travellers. Passenger feedback shows that some males do not want the units, while others have requested "men-only" lavatories. ANA believes passenger comfort and service is extremely important, which is why its menu includes freshly cooked (rather than reheated) rice dishes. News of such passenger-service innovation will encourage veteran UK industrial engineer Tom Karen, for almost 40 years the chief executive of Ogle Design. The consultancy, active in aerospace, automotive, transport and consumer-products design since the 1960s, has been involved with Airbus, Airship Industries, British Aerospace, Saab, Westland and seat-maker Recaro. Karen has been calling for the past 20 years for more-friendly passenger cabins, particularly on aircraft with at least 200 seats and flying sectors of more than 3-4h. The man who created the celebrated "Raleigh Chopper" bicycle, Karen has been a regular presenter at cabin interiors' exhibitions, discussing ideas with Airbus and in the presence of engineers from Boeing Commercial Airplanes and Seattle industrial-design house Teague. A particular hobby-horse has been gender-specific toilets, which Karen believes offer more attractive service, occupy no more space, and can simplify engineering. He is passionate about the need for cabin space for exercise or socialising on long-haul flights, a facility that could include communications areas for telephone calls that do not impinge on fellow passengers' privacy. His wishlist also covers wider doors, overhead windows admitting natural light to lounge areas, staggered seating and cabin storage of (some) large bags now consigned to belly cargo holds. Airbus double-bubble configurations first prompted Karen's initial thoughts before he adopted a treble-bubble structure that he says poses no pressurisation-cycle problems. Tension loads could be taken by pillars at the corners of cabin furniture "monuments", such as galleys and toilets and, perhaps, other cabin bulkheads. In the mid-1990s, Karen developed a concept dubbed Air Cruiser (Flight International, 13-19 September 1995), which has been reworked as Air Cruiser II. He believes a full-scale mock-up of its cabin would illustrate his ideas most clearly. The engineer complains that today's typical long-haul "products" make no provision for travellers to stretch their legs. "It is essential that airlines provide proper space, enabling passengers to exercise [say] every hour." A main concern is to see large entrance doors that provide immediate access to a lobby (that might include a coffee bar) or reception area, "doing away with the squeeze past a toilet or galley and cabin crew". Karen recognises aircraft must pay their way and that, if possible, all floor space should contribute to revenue, but he wants to see space used to improve comfort. He says that airliners must move upmarket, with succeeding generations offering more - compare, for example, a Saab 340 with a similarly sized Embraer ERJ-135, or a 1960s Vickers Vanguard with an Airbus A320. It is increasingly important to make cabins more welcoming and comfortable, says Karen, who believes that "if governments acted responsibly [by] taxing fuel", this would accelerate upmarket trends. A 5% fare premium might be an acceptable price for comfort. "People will pay for a little luxury and manufacturers could advertise such features as making for more attractive experience," he says. Karen believes that very-large aircraft now entering service could have been developed with an open central area inside Door 2 to enhance boarding and to provide a mid-flight lounge or exercise area. Use of Door 1 to embark most passengers represents "a poor choice", especially if a staircase then takes passengers through other cabins to reach the economy cabin. Boarding at Door 2 requires a shorter walk to most seats. Air Cruiser II has a horizontally linked "treble-bubble" configuration (see illustration), which Karen claims meets many of his spatial concerns. The wider structure, which would be less deep than a conventional circular-section airframe, would accommodate more or larger carry-on luggage (as promised, albeit still overhead, in the Boeing 787). Begun as a 200-seat 737-successor, Air Cruiser II sports a rhomboidal box wing - a low, swept fore wing, whose wingtips are attached to those of a high, forward-swept aft wing that represents two-thirds of wing area. The hollow-diamond "box" structure is seen as lighter, stiffer, and less "drag-worthy" than conventional wings. Such a wing on Lockheed Martin´s future tanker/transport design reportedly proved "very tolerant of centre-of-gravity movements", says Karen. The initial Air Cruiser concept had a canard configuration with a high-mounted foreplane aft of the flightdeck (as later adopted for Boeing's stillborn Sonic Cruiser) and a rear-mounted main wing. One consideration was reduced overall wing area that occupied less ramp and boarding-gate space. That design involved a kidney-shaped cross-section, with a horizontal double-bubble main deck above a treble-bubble lower deck that accommodated cargo containers along the centre line. The generally flatter structure of Air Cruiser II could contribute to overall aircraft lift (thus reducing wing area), although Karen's ideas do not extend to blended-wing bodies. He believes BWBs introduce a different cabin-comfort consideration: passengers sitting further outboard are subject to greater movement during manoeuvres and, perhaps, in turbulence. "Being housed in long windowless corridors will not be a bundle of fun," Karen says. The Air Cruiser II might be likened to Noah's Ark, with occupants entering "two by two": a double-width doorway leads into an open fuselage-wide area with natural light through overhead transparencies, a real alternative to artificial "mood" lighting. Leaving this reception zone takes travellers through a storage section containing secure floor-to-ceiling capacity outboard of each aisle. This area holds baggage that travellers might not want to consign to conventional cargo holds (and to which they might be given mid-flight access). Inboard of each aisle, there might be internet stations for private mid-flight communication. The area would also provide formal telephone facilities offering greater privacy to passengers - both those wishing to make calls and those not wishing to be subject to "appalling" mobile-phone pollution, says Karen. He advocates abandonment of overhead storage bins (which will relieve taller passengers who regularly strike their heads on open bins between, say, Boeing 777 aisles). On safety grounds, he dislikes conventional bins because of their propensity to come down during accidents since they are subject to lower vertical deceleration requirements than other structures. Karen is passionate about the inadequacy of "really awful" individual unisex toilets. "Apart from their appeal for ladies and the speedy processing of [males] with the provision of urinals, wash basins outside cubicles [within his proposed cloakrooms] could be fitted on each side of the dividing wall," he argues. "The plumbing for clean water would be hugely simplified. On the space used by six cramped unisex toilets, such cloakrooms are likely to be no more expensive and much more efficient and appealing." Are seats convertible to "lie-flat" beds, especially in premium sections, a step in the right direction? "Good luck to those who can afford them," says Karen. "I think they will continue to be offered. It is all a matter of going 'upmarket' to generate profit." Karen makes no call for galley improvements, although he believes that availability of coffee in his proposed lounge areas could reduce aisle blocking by trolleys. He is not clear whether there is sufficient demand for dedicated business airlines. Unsuccessful attempts to introduce premium-only services have "proved" the concept does not work. Finally, the veteran UK design engineer does not claim originality for his ideas. Rather, he reverts to his 1930s' memories of cabins such as that of the Handley Page HP42 biplane airliner, which "featured separate [lavatories], floor-to-ceiling luggage stowage, and facing seats with a table between so that a five-course meal could be served". He stops short of requesting a Zeppelin airship's grand piano, but acknowledges that pre-Second World War air travel was "quite expensive, of course." He offers "all these ideas having despaired of finding open, receptive minds willing to entertain more than slow, evolutionary, cranking-the-handle type progress".